The Student Peace Action Network (SPAN) at McHenry County College will host "Venezuela Under Seige: Challenges From Within and Without," a presentation by speaker and author Steve Ellner, from 1:30-3:00 p.m. Wednesday, Nov. 14 in Room A221, across from the MCC Library. The college is located at 8900 U.S. Hwy. 14 in Crystal Lake. Ellner will discuss the hardship imposed on the Venezuelan people by U.S.-Canadian sanctions. 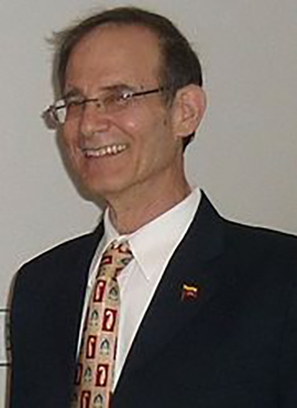 He has taught economic history at the Universidad de Oriente in Puerto de Cruz Venezuela since 1977 and has written numerous books, journals and magazine articles on Venezuelan politics and history. Ellner’s most recent book is “The Pink Tide Experiences: Break-throughs and Short-comings in Twenty First Century Latin America.” He earned his Ph.D. in Latin American History from the University of New Mexico. This event is free and open to the public. For more information, contact the MCC Student Life Office at (815) 455-8550.